Whilst redundant, it’s easy to feel blue. Here’s a little, inspiration for you. Look foward to a new day, a new life and a new way. Never worry about the past, it’s gone. There is nothing you can do to change it but you can make changes to move foward with your life. You have hopes and you have dreams. It’s down to you, to use this opportunity, to make them come true. 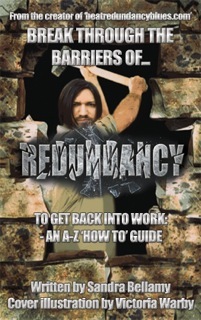 Think of redundancy as the end of a chapter in your book of life. There are many chapters to come. Make sure you fill those chapters with fun, happiness and laughter. Make a list of how you can obtain each of these and the action you are going to take to achieve them. Then go for it. Don’t live your life in fear, live it the way you want to, by using it to its full potential. Remember, your greatest asset to any employer, is yourself. By believing in yourself, others will too.